Today's the 28th of the month and that means I'm going to post an article like I've done for the last 21 months. When I started this blog/website on 8 December 2011, I decided I would post at least on the 8th, 18th and 28th of each month, and apart from a glitch in November 2012 when I missed the 18th deadline by an hour or so and posted on the the 19th instead, I've kept the schedule up. I'm proud of the effort. There have been some topics I've thought I'd write about but other stories keep getting in the way. A couple of stories I would like to cover in the next few months as I come up to the two year anniversary of www.ilovebrokenhill.com are about two famous Broken Hill figures who unfortunately are now deceased. 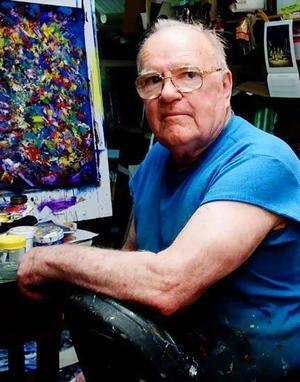 I've written a little about Kevin Charles 'Pro' Hart (1928-2006), but I'd like to write a longer article about this famous Broken Hill artist. 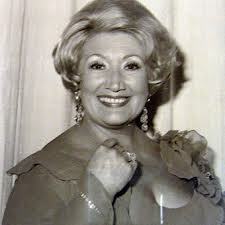 The other person I would like to write about is famous Australian Opera singer June Bronhill (1929-2005). There are other characters to write about, art exhibitions, horse races and shows still to come to fill the pages of this blog. As to whether I'll get the time to cover them all, I can't say. There are in fact many Broken Hill identities I would like to write about, and as I started to list them, more names kept popping into my head, and so rather than exclude someone, I won't mention any more names for now. As has often been the case, to keep my 'publication' schedule, I've ended up having a late night just to make my arbitrary deadlines. So for a change, and as it's getting late once again, I'll just mention that in the coming weeks and months I'll write these articles about Pro Hart and June Bronhill, so stay tuned. Today's post is my 180th blog post, and my two year anniversary of 'loving Broken Hill' is in December. Soon it will be time to take stock and decide the future of www.ilovebrokenhill.com as other destinations are calling. It's not that I don't love Broken Hill any more, but maybe it might soon be time for another location to become my focus for a while. Jane ... drop me a line next time you're in town ... would like to catch up. Michael@BDT.